This January 2018, Hewlett-Packard (Hp) one of the known maker of notebook computer, voluntarily recalling its laptop or called notebook computer battery, including mobile workstations for safety concerns. And they provide replacement programs to all its customers affected. This battery is potential to overheat, prone to fire and burn hazards to customers. So it is extremely important to check whether your laptop is one of this affected batteries. This battery recall only involves of all models uses lithium-ion batteries for Hp Notebook computers and mobile workstations. Not involve the personal computer (PC) itself. 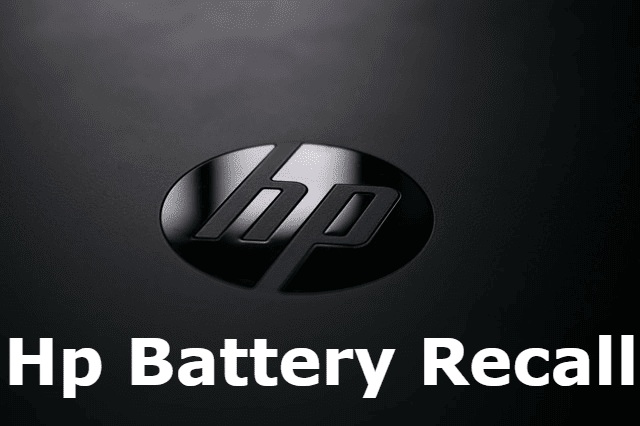 The Hp company providing battery replacement program of all authorized service center world wide of all models affected by this recall. And they made programs updates called "Battery Safety Mode" for the BIOS system. This program identifies battery as eligible for replacement and prevent it from overheating. For this update, visit your Hp authorized service center for additional information.